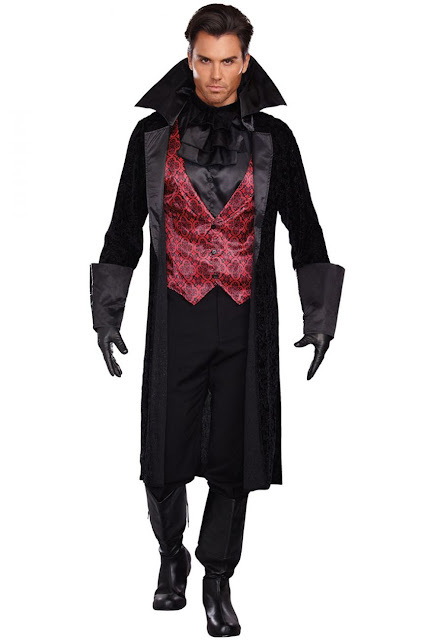 For your partner, here's the "Bloody Handsome" coordinating vampire costume, also in red and black. You can buy this costume on eBay as well. You'll have to supply your own footwear, vampiric makeup and fangs. 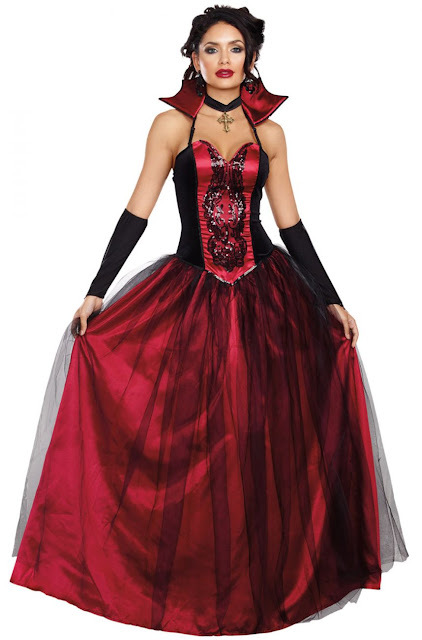 Are you attending a vampire-themed ball or party this Halloween season?